Heesen has released a stunning video of its 50 metre custom yacht Ann G cruising in the fjords of Norway. The Dutch superyacht builder knows if there’s one way to make its creations stand out, its to shoot them against a beautiful backdrop, such as the Norwegian world heritage site of Nærøyfjord. 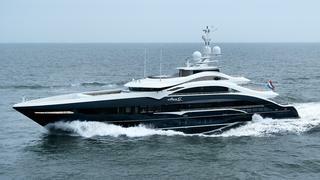 The video of Heesen yacht Ann G in Norway, above, shows off the dark blue hull yacht from overhead and on the water. Her rakish superstructure looks all the more fierce as she motors towards the camera. The aerial views give a glimpse at her expansive deck spaces and stern platform. 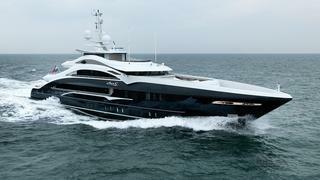 Full-custom 50m Heesen luxury yacht Ann G was delivered to her owners on Friday (July 17) in international waters after intensive testing in the North Sea. 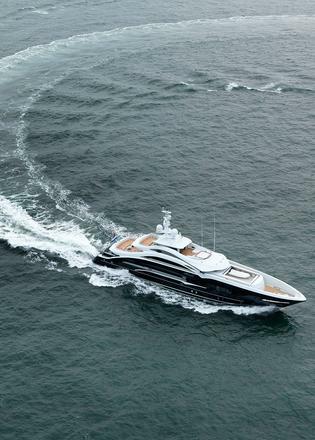 During sea trials, Ann G recorded a top speed of 15.6 knots, 0.6 knots above her contracted speed target. The steel-hull, full-displacement yacht Ann G comes in just under the 499GT mark. The owner chose yacht designer Clifford Denn to pen the sweeping exterior lines and general arrangement of Ann G, while Reymond Langton created the modern meets Art Deco interior. According to Clifford Denn, the experienced owner wanted an exterior with sculptured shapes and was very hands-on in the build. "Modern deco" is how Jason Macaree of Reymond Langton describes the interior decor on Ann G. "It's an interpretation of Art Deco," says the designer. There are no antiques found on board, however. The owner of Ann G had a brief for staircases that are as high quality of that of a larger yacht. This translates to wide staircases with comfortable steps that aren't as steep as you'd find on a yacht of similar size, both at the main and exterior staircases. Coming on board Ann G, a crystal and stainless sculpture central feature catches the eye. Resembling the shape of an iconic Art Deco era building, it stretches from the lower deck all the way up. Other commanding features on Ann G include a three-tier crystal chandelier over the dining room table, a glass artwork wall by DKT on the lower deck, and custom fabric headboards - all complemented by lush walnut and Makassar ebony. The bathrooms have beautiful titles, with one guest bathroom alone boasting a mosaic wall with more than 20,000 tiles. 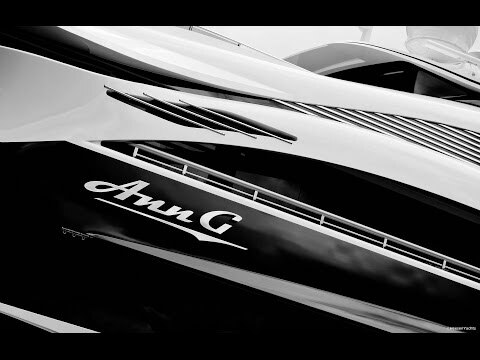 Ann G will be on display at Monaco Yacht Show.